A man is under arrest, suspected of trying to lure children and a woman to his car on at least three occasions in Walker County. Detectives with the Walker County Sheriff's Office have been investigating a string of cases that led to the arrest. On October 20, detectives began investigating two separate incidents where a stranger approached children in Walker County neighborhoods and attempted to lure them into his vehicle. On November 23, a third incident was reported in the southern part of Walker County where a woman jogging was approached by a black man. He tried to get her attention, and started running towards her after she ignored him. 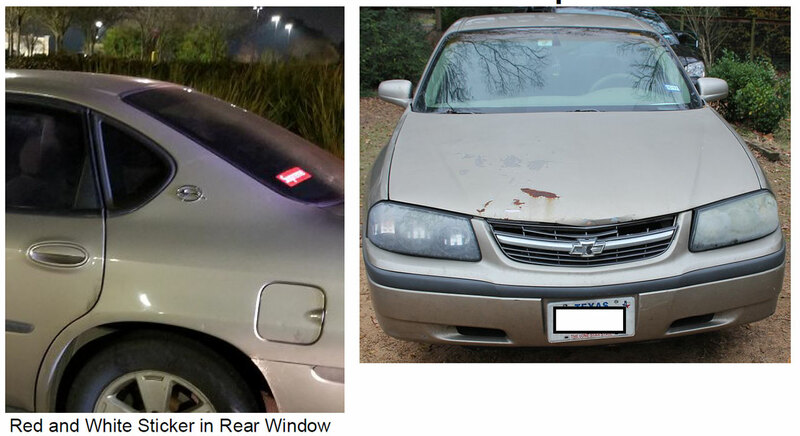 In all three of those incidents, the suspect and vehicle description were very similar. Investigators got in touch with surrounding law enforcement agencies and discovered that the San Jacinto County Sheriff's Office, the Conroe ISD Police Department and the Montgomery County Sheriff's Office all had similar incidents involving matching suspect and vehicle descriptions. On Sunday night, Detective Jake Jacobson of the Walker County Sheriff's Office was traveling on I-45 in the Conroe area and spotted a vehicle matching the description of the suspect vehicle. He contacted Conroe Police Department and they conducted a traffic stop on the vehicle. The next morning, detectives with the Walker County Sheriff's Office and the San Jacinto County Sheriff's Office arrested 21-year-old Alfred Glen Davis of San Jacinto County. Davis reportedly admitted to three incidents in Walker County and numerous other incidents in San Jacinto, Montgomery and Harris County. All the incidents involved Davis using his brown 2010 Chevrolet Impala, and approaching adults and children and attempting to commit a robbery or abduct them. All other agencies are aware and conducting their own investigations. Detectives expect more charges to be filed on Davis. Davis is currently in the Walker County Jail charged with attempting to commit aggravated kidnapping with intent to commit sexual assault and attempted sexual assault. More charges are expected from the ongoing investigation. Anyone who recognizes the vehicle or believes they may have had an encounter with this subject is encouraged to contact Walker County Sheriff's Office or their local Law Enforcement Agency.